KJ Landis is an author, educator, former model, health and life coach, photographer and role model. She has inspired thousands with her holistic approach to health and wellness. Her ability to communicate effectively, compassionately, and with patience has helped build the self esteem and attainment of others’ life goals. Landis grew up the youngest of five children in Pittsburgh, Pennsylvania. She was taught that food equaled love, and she was greatly loved. At age 12, she was 5’2″ and 173 pounds. Her doctors told her parents that if KJ continued to eat in the current manner, she would be a heart attack candidate within months. This scared her parents and the 12 year old into learning about portion control and nutrient dense foods that were beneficial to a young girl’s wellness. The next two years saw a 40 pound weight loss, a height increase of 8 inches, and a newfound love of exercise. Then the pendulum swung in the opposite direction. KJ had a fast metabolism from ages 14 to 16, and her weight plummeted to 102 pounds at her lowest, where her height was 5’10.” This made her extremely happy, as now she could eat anything she wanted and she didn’t get larger! KJ Landis modeled from age 4, whether overweight or lean, and her career took off. She began traveling the globe while still completing her studies. She worked and traveled to 44 countries during the modeling years. Sometimes she ate on the go, grabbing only apples and popcorn for the day. The months and years of low calorie carbohydrate consumption wreaked havoc on her metabolism. When Landis turned 35, she and her husband decided to have children. After two children, the weight just wouldn’t come off, even though KJ was an exercise instructor and marathon runner. She was 50 pounds overweight and age 46 when she decided to do something for her health and her longevity. 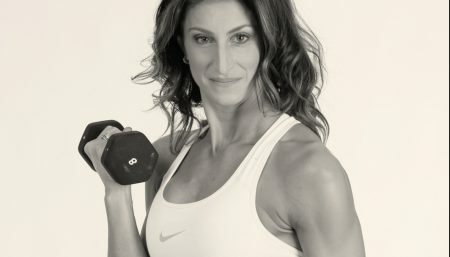 To know her complete story, Women Fitness thought of catching up with KJ Landis. I realized I had to lose the weight when I went shopping with a girlfriend who wanted to buy jeans. I wore nothing but leggings for years. I kept trying on bigger and bigger sizes until the 13 fit. I had never been larger than a 7 my adult life so this was a wake up call. The leggings and Lycra were a forgiving and loving tactic to make me look good and feel good. I was always in proportion and was always a fitness fanatic at every size. My milestones were none. Every day was a new day, fresh and positive. Water was my ally and exercise was my fuel. I have maintained almost 5 years now and help others with their wellness goals whether career, relationship or health oriented. I focus on fat loss as the word not weight loss. I build muscle and strength for life long flexibility as we age so the focus is less on my looks than on how I feel now. 3. What is your fitness regime? My regime was weights and cardio at that time. Now I add in yoga and hiking. No more running for me. I use more of my own body weights for the weight strength exercises now. 4. On a typical day, what is your diet like? In a typical day I had coffee with heavy cream for breakfast and lots of lemon water all day. Fish and veggies for lunch and seafood and salad and veggies for dinner. Only coconut oil was used. My former self was my biggest motivation and of course my amazing family. I wanted to be healthy and super fit for running around with them for life! I plan to maintain my weight the same way I have. Eat to hunger. I have increased my fat a lot so I am really only hungry at dinner these days. I drink a gallon of water a day and eat an obscene amount of green leafy veggies. I naturally have fallen into a rhythm of intermittent fasting without trying. I feel great. To join KJ for free wellness workshops, if you are in the San Francisco area, checkout the calendar of free events at www.superiorselfwithkjlandis.com. You can also pre-order her 4th Book right here: Happy Healthy You: Your Total Wellness Toolkit For Renewing Body, Soul, and Mind. Building Strength Why Weight Lifting Is Essential For Weight Loss?